BIRMINGHAM, Ala. – Tommy John has the most famous scar in baseball. "It starts here (mid-forearm) and goes to here (mid-biceps)," says John. John pitched in the big leagues for 26 seasons, but these days he is best known for the surgery named after him. "I won 288 games, 700 starts, 46 shutouts, [but] a lot of them think that I was the doctor that did the surgery," he says. 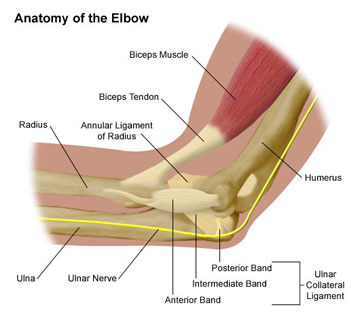 The strain of pitching can cause a tear in an elbow ligament. In the surgery, doctors remove a tendon from another part of the body and replace the damaged ligament. When John was operated on, 31 years ago, it was revolutionary. Today, the surgery is common place among adult players in the majors. But in the last five years, there's been a huge change-up. Now, many patients are under 17 years old. "We're in an epidemic," says orthopedic surgeon James Andrews, who pioneered the surgery. Each year now 40 to 50 of his patients are teenagers. "They're throwing harder and harder at younger ages," says Andrews. "Well, it's the competitive nature and the importance of sports to everybody in the United States. Parents are pushing them," he says. Pushing them to throw harder and pressuring them to master even more complicated pitches like sliders, curveballs and other breaking balls - advanced pitches that put unnatural strains on young, undeveloped arms. Is there a rule of thumb for children who are throwing? "You basically should not throw a breaking ball, any type of breaking ball, including a slider, until you shave," says Andrews. But tell that to Dr. Andrews' next patient, 16-year-old Zac Tinker. Since he was 10, he's been praised for his results. But he has a problem. And the root of his problem is his sidearm delivery. "I was getting encouraged because I was so young," says Tinker. "And nobody had seen it. And I could throw strikes with it." In that case, what’s the solution? "A kid that's 11 or 12 years old, I'll usually try to limit that to 50 pitches in two or three innings," says Gerry Davina, who coaches Little League. But, according to the original patient, there’s a different solution. "Just let the kids be kids," says Tommy John. That means let them be kids playing ball, rather than prospects chasing a career.